Features & Specifications :Type : 3-wire Simplex with Aluminium LeadMaximum Temp. : 400* CSheath.. Features & Specifications :Type : 3-wire Duplex with Aluminium LeadMaximum Temp. : 400* CSheathi.. 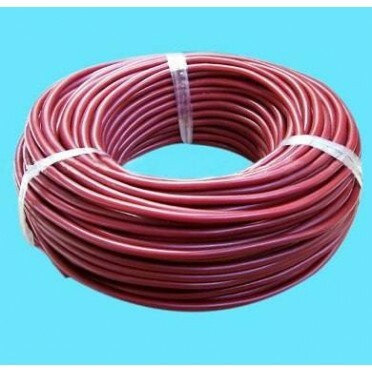 Type : 3-wire with Aluminium LeadMaximum Temp. : 400* CSheathing : SS 316Sheathing Diameter : 6mmLen.. Type : 3-wire with Aluminium LeadMaximum Temp. : 600* CSheathing : SS 316Sheathing Diameter : 6mmLen.. Type : 2 Core PVC InsulatedConductor : Copper-Const.Size : 3 X 28 SUGSheathing : PVCShield : N/AArmo.. Type : 2 Core SS BraidedConductor : Copper-Const.Size : 3 X 28 SUGSheathing : PVCShield : SS Braided.. Type : 2 Core PVC InsulatedConductor : Fe-KSize : 3 X 28 SUGSheathing : PVCShield : N/AArmour : N/AN..
PVC Terminal Strip 6Amp, 12Way, 500v .Packing Contains 20 Nos.Used for Industrial & House Wiring..
Fuse Holder Type HCO 32Amp, 415V AC.Packing Contains 10 Nos.Used for Industrial, Panels etc...Specif..